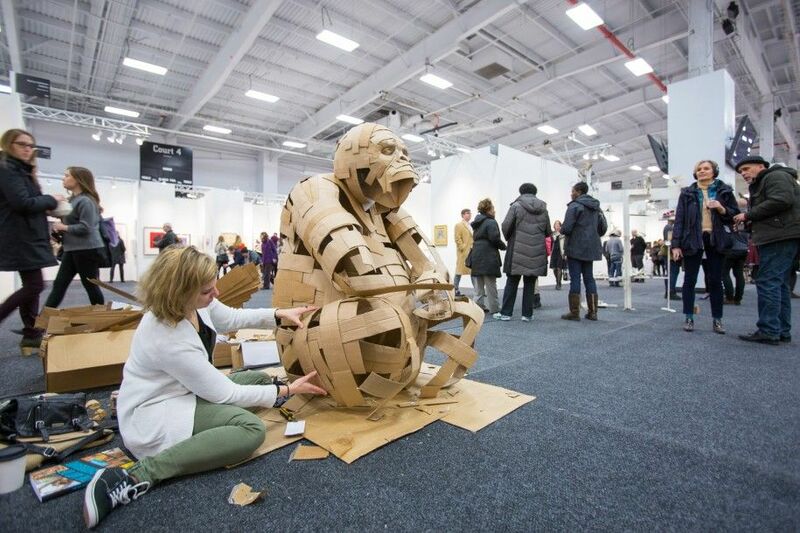 Art on Paper returns to downtown Manhattan's Pier 36 this March 8 - 11, 2018 with eighty-five galleries featuring top modern and contemporary paper-based art. 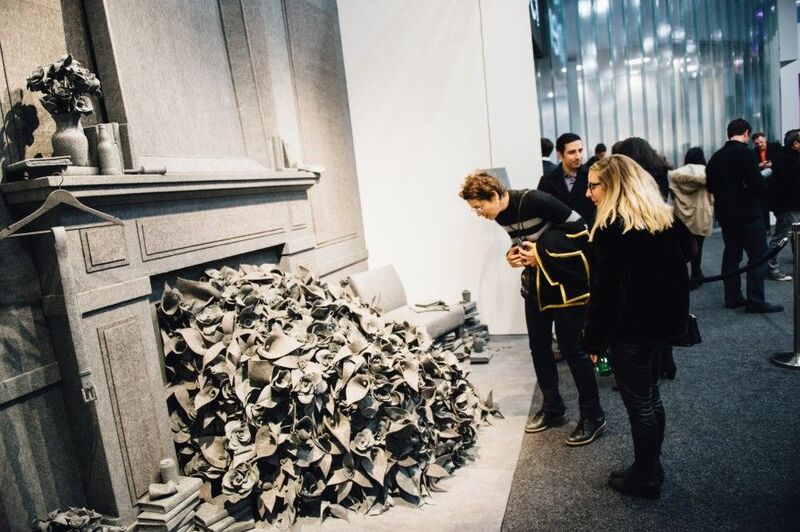 Art on Paper's medium-driven focus lends itself to significant projects - unique moments that have set the fair apart and established an important destination for the arts in New York City. The fourth edition will include 85 national and international galleries presenting photography, drawing, sculpture, and large-scale installations – all from, by, or on paper – and all challenging the notion of what a work on paper can be. Art on Paper’s public projects program will return with large-scale installations that push the boundaries of work on paper. Michele Brody’s Reflections in Tea, presented by Julio Valdez Project Space is an interactive community-based project inspired by the tradition of drinking and sharing tea. Will Kurtz, presented by Garvey | Simon, will have a series of realistic life-size figures constructed out of newspaper. Jae Ko’s Force of Nature Series “FLOW,” presented by Heather Gaudio Fine Art, takes kraft paper rolls and industrial paper to creature sculptures by stacking the paper, producing folds, pleats, and gaps. WilliamBeckman’scharcoalonpaperworkssuchas TheBullSeries#10 andB athers ,presentedby Forum Gallery will be featured throughout the fair. Understory by Timothy Paul Myers and Andrew Barnes, presented by Walter Maciel Gallery, replicates a suburban American basement, with objects transformed by a meticulously wrapped layer of pale pinkish colored felt. The FLATFILES focus section highlights print dealers and publishers from across the country. 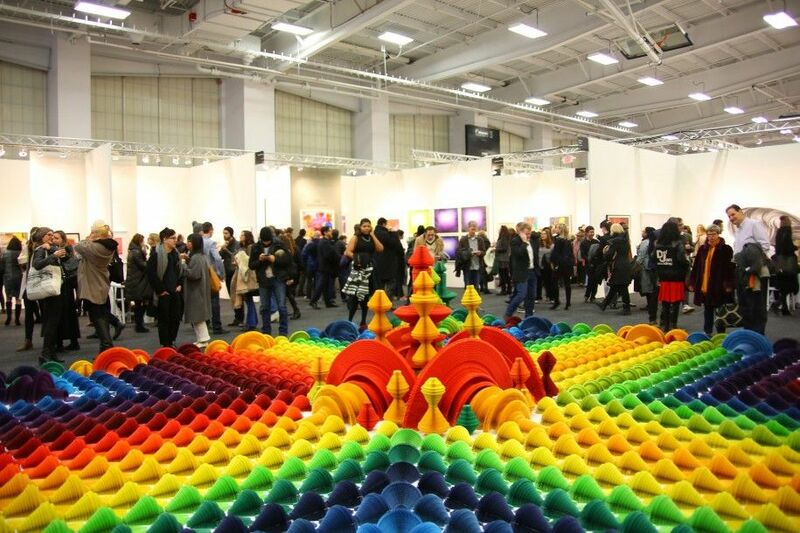 Flatfiles exhibitors are chosen because they represent one of the longest and most traditional uses of the fair’s central medium while simultaneously celebrating contemporary subjects. Each booth illustrates the relevance and importance of paper and print-making. Featuring Aspinwall Editions, Burnet Editions, Center Street Studio, Jennifer Melby Editions, and TODAY IS THE DAY FOUNDATION. Art on Paper welcomes the return of Beneficiary Sponsor, Brooklyn Museum, and Presenting Sponsor, The Wall Street Journal. This year celebrates four years of partnership with New York City's The Lower Eastside Girls Club, presenting The Power of Pink, a photography and multi-media exhibition produced by their students. Speaking to the waste stream of popular culture, The Power of Pink weds the documentary to the surreal, allowing the artists and designers of the LESGC to break the bounds of peer-defined normal behavior and learn to take risks in their art making. Art on Paper’s Opening Night Preview on Thursday, March 8, will be sponsored by the City Parks Foundation’s Young Patrons. The City Parks Foundation is dedicated to invigorating and transforming parks into dynamic, vibrant centers of urban life through sports, arts, community building and education programs for all New Yorkers.